Welcome to The Animal Herbalist! Don’t Miss out on a Single Episode of Natural Pets TV, with Greg Tilford! Greetings! Welcome to the newly rebuilt version of The Animal Herbalist, where I will be bringing you the latest news and cutting edge new discoveries from the world of natural holistic animal care! This is the blog site of Greg Tilford, a leading force and early pioneer of the pet supplements industry. He is co-founder, formulating herbalist and CEO for Animal Essentials Inc., a company that has been producing a full range of animal supplements for over 20 years. He is a charter contributor to the Scientific Advisory Committee of the National Animal Supplements Council (NASC), and served for six years on the Board of Trustees of the American Herbal Products Association, where he also chaired the AHPA Animal Products Committee, whose mission is to promote and protect responsible commerce of herbal products intended for use in animals. 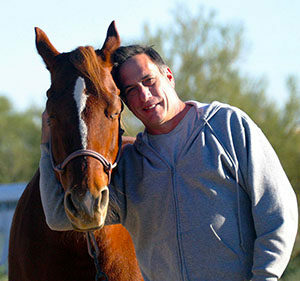 A world renowned expert in the field of veterinary botanical medicine, Greg has served on Health Canada’s Expert Advisory Committee for Veterinary Natural Health Products and has taught courses at several veterinary medicine institutions, including Colorado State University Teaching Hospital; the Cummings School of Veterinary Medicine at Tufts University; University of Wisconsin School of Veterinary Medicine; the annual conference of the American Holistic Veterinary Medical Association; and the nationally accredited Healing Oasis Wellness Center in Sturtevant, Wisconsin. In Asia, he recently spoke at Pet Food Forum in Bangkok, Thailand, and is an honorary advisor to the new Japan Animal Wellness Association, a model educational institution training international pet care professionals on the science and philosophy behind natural veterinary medicine. 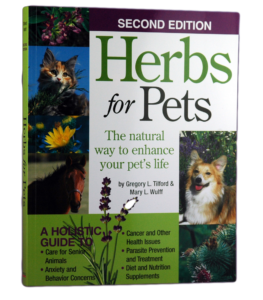 Greg is the author of five books, including the acclaimed Herbs for Pets, the Natural Way to Enhance your Pet’s Life (i-5 Publications, second ed. 2009). Other books include Edible & Medicinal Plants of the West, From Earth to Herbalist, and The EcoHerbalist’s Fieldbook. He’s also published numerous articles on herbs in consumer and trade magazines.